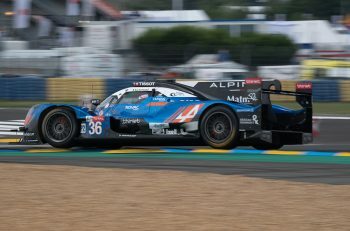 The Road to Le Mans qualifying proved difficult for the competitors, with slow zones and red flag periods punctuating both 20-minute sessions. The first session set the grid for the opening race, to be held at 5:30 pm today, Thursday. It was Mikkel Jensen in the #11 Eurointernational Ligier JS P3 who took advantage of a small period of clean running to take pole. His time of 3:31.315 was 0.110 faster than the #9 Cool Racing Norma M30 with Scott Andrews behind the wheel. 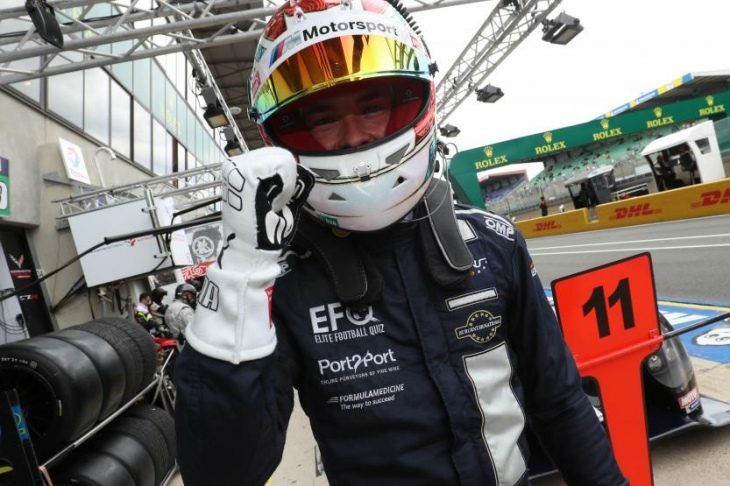 The #2 Ecurie Ecosse/Nielsen Ligier JS P3 (3:52.079) took third, with the second row rounded off by the #22 United Autosports Ligier JS P3 of Matthew Bell, postiong a time of 3:52.451. Down in 26th overall, but scoring Race 1 Pole for the GT3 class was the #71 AF Corse Ferrari, Pierguseppe Perazzini reeeling off a 3:55.867 to go top. There were two red flag periods during the qualifying session. The first stoppage occurred eight minutes in, but resumed. The session was then prematurely ended with 1:04 remaining on the clock after Ivor Dunbar buried the #75 Ecurie Ecosse Ligier in the gravel at the Porsche Curves. The truncated session resulted in three cars not setting times and only 35 cars of the 50 car grid going under four minutes. The second 20-minute session established the starting order for the second race, which will take place on Saturday morning. Like the first session, it had its share of yellow flag periods. Slow zones ensured that no driver could manage a fully competitive lap until 14 minutes into the session, but another late red flag ended the session with 10 seconds left on the clock. It was Eric Trouillet in the #39 Graff Racing Norma M30 who set a time of 3:54.192 to take pole, fairly comfortably ahead of Anthony Pons behind the wheel of the #30 CD Sport Norma M30. 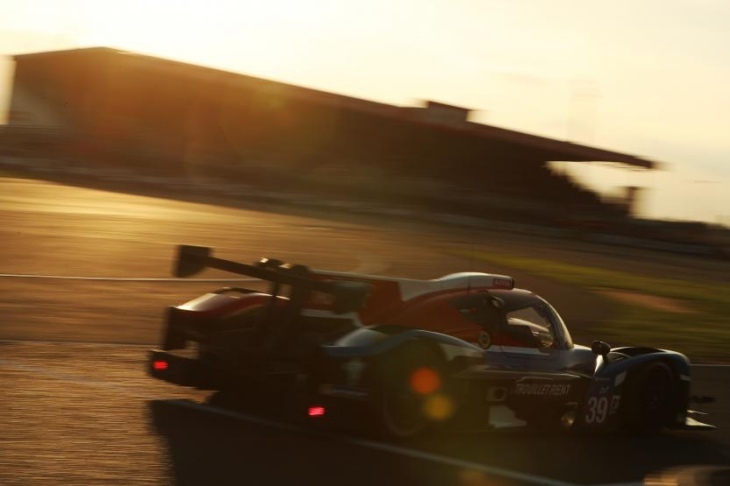 Third fell to the #11 Eurointernational Ligier JS P3, with Kay van Berlo setting a time of 3:55.455, and followed by Jens Petersen in the #3 DKR Engineering on a time of 3:55.989. It was a tough session for the #75 Ecurie Ecosse entry. The car hadn’t set a time before crawling into the pits missing its right front wheel. In all, five cars didn’t set a time in the second session, with only 18 cars tucking under the 4 minute mark. The #40 Graff Racing entry was reported to the Stewards for overtaking prior to the end of the Slow Zone, although at the time of writing a decision had not been announced. In the GT3 ranks, Kessel Racing topped the times, its #8 Ferrari 488 GT3 of Sergio Pianezzola putting in a 4:01.382 to go over a second clear of the other runners in the class. Due to the small window of green flag running, many cars did not get a clear lap. This will have placed many cars out of their expected running order, and could lead to some interesting exchanges in then opening laps. 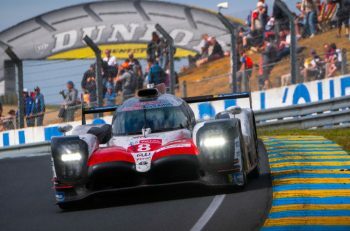 The first 55 minute Road to Le Mans race gets underway at 17:30 local time.